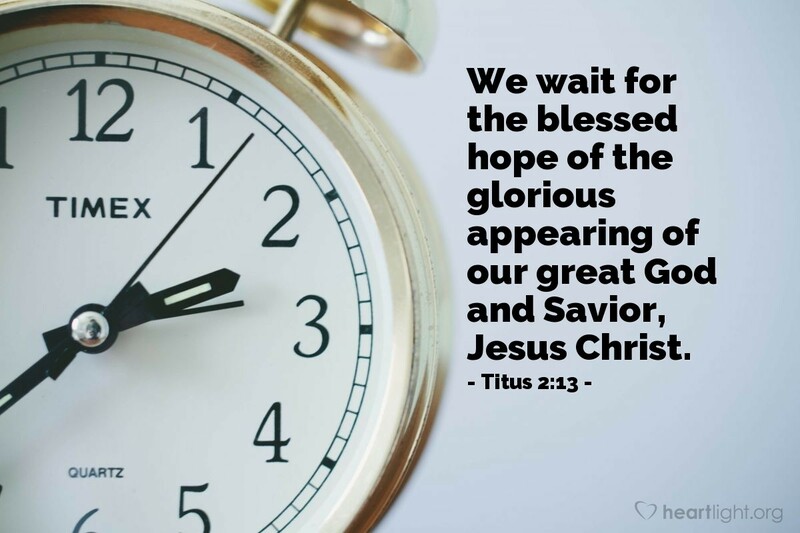 We wait for the blessed hope of the glorious appearing of our great God and Savior, Jesus Christ. One way to view our lives is to see them as a wait. Long or short, we live in anticipation, waiting for our "blessed hope." This hope is rooted in Jesus' promise to return. But more than just his return, our hope is rooted in his glorious appearance as our Savior. On that day, our trust in Jesus as Lord will be validated and our highest dreams realized. Glorious and faithful God, thank you for sending Jesus the first time to save me from my sins. Please strengthen me as I wait for his glorious return, so that I can live as victoriously now as I will with you in the future. In Jesus' name I pray. Amen.